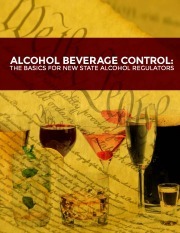 The publication was made possible in part by the Center for Alcohol Policy and can be found here. Johnson is a past president of the National Liquor Law Enforcement Association and was named “Agent of the Year” in 1996. His “False I.D. Instruction” program received NLLEA’s Program of the Year Award in 1998. He also served as third vice president of the National Conference of State Liquor Administrators. Johnson will be among the presenters at the Eighth Annual CAP Alcohol Law and Policy Conference taking place September 9-11, 2015, at the Hyatt Chicago Magnificent Mile in Chicago, Illinois. Additional details regarding the conference can be found at www.centerforalcoholpolicy.org/law.